I thought it was funny when I went back through my photos this past week that they were almost all food or snow photos. Apparently we eat a lot when it snows here. Something about the cold and being stuck at home that just makes you want to eat. 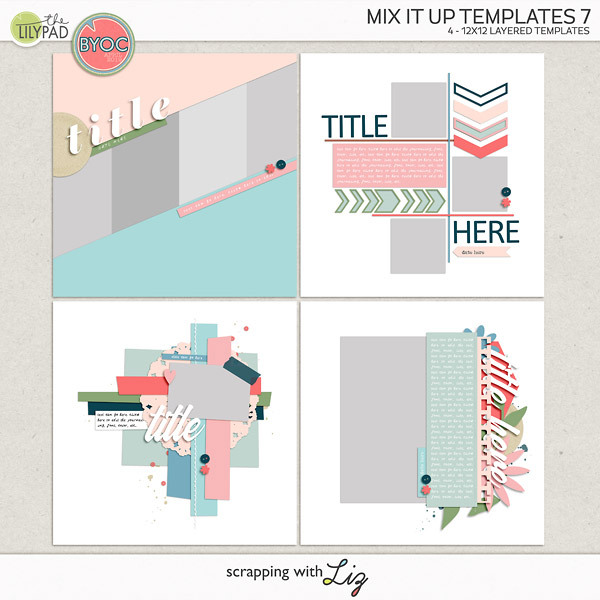 I had to modify this week's template a little bit since I had so many photos I wanted to include. I guess taking photos is another thing I do a lot of when we are stuck at home. It kind of felt like we had a week off. No therapies, no co-op, no errands...I loved it. We worked on school work in the morning and the kids played in the snow in the afternoon. 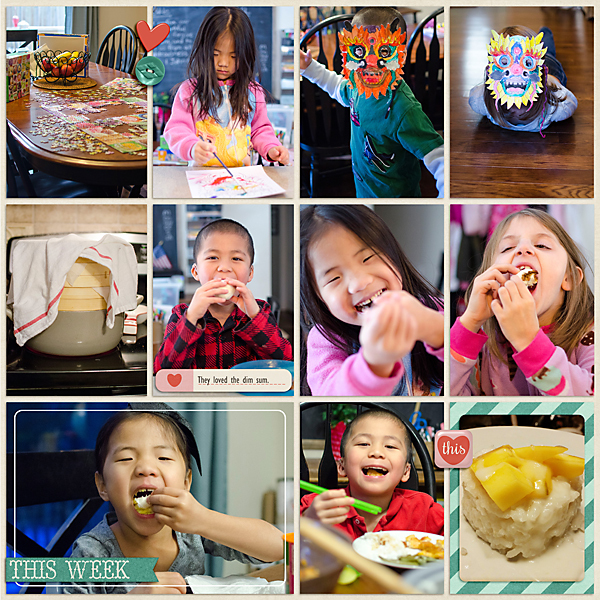 Take a closer look at what a week looks like when we are stuck at home. Did I mention I don't particularly care for snow clothes? Every afternoon there was a pile of wet, cold, dirty laundry to do...on top off all the regular laundry. But it was definitely worth it to see their happy faces while they slid down the hill, and it got them outside for a few hours everyday. 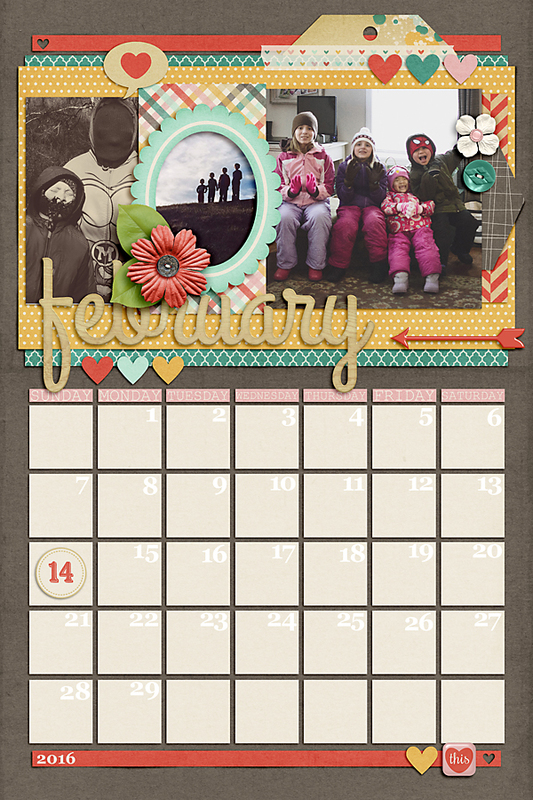 I also finished my February page for the 2016 Calendar I'm making for my mom. This was a snap to put together. 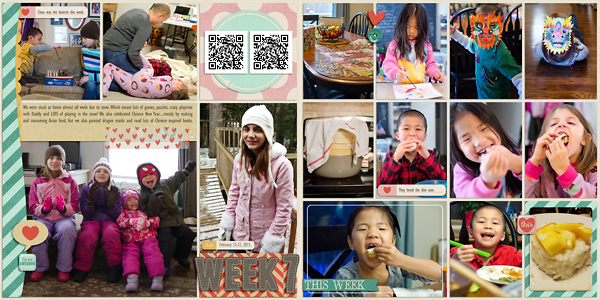 I plan on adding a QR code with a video of all the grandkids saying, "Happy Valentine's Day!" Won't that be cute? Hey! 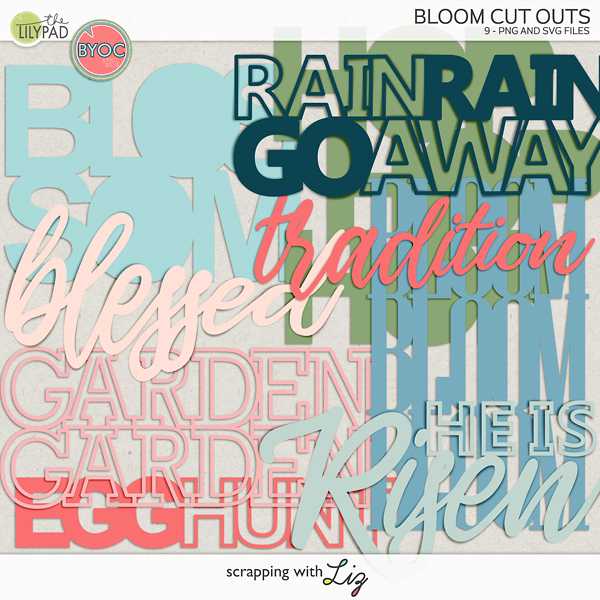 If you aren't already participating in the Planning Ahead Challenge over at Scrap Orchard you should. We are trying to motivate one another to get their 2016 calendars started so that at the end of the year you'll have a calendar ready to print. Plus if you participate there's a prize each month and this month you could win $10 to my store! You should really play along. That's it for this week! Hope you all have a good weekend.